Shinto beliefs – there is no sacred scripture to read on and follow, but Shinto has its own beliefs and ethics. 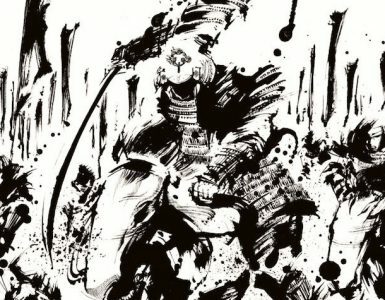 We will take a look at five core Shinto beliefs and some unique beliefs may surprise you or resonate with you. Welcome to the Shinto world. Shinto beliefs are a distinct sense that underlies an entire approach to life, the death, and the world. 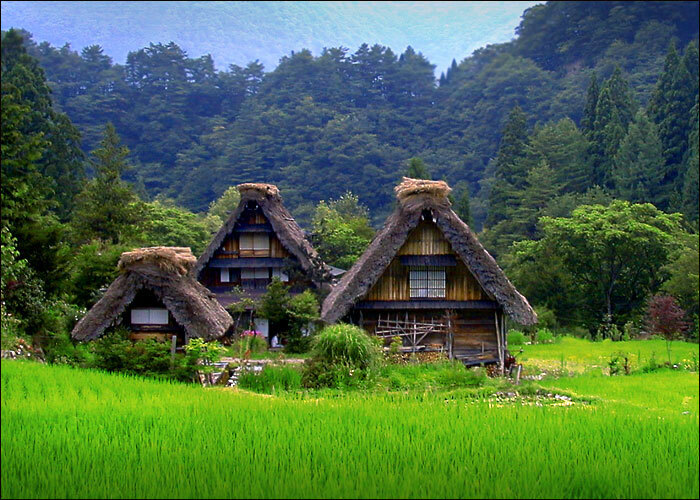 Since the mountains consist 70 % of the lands of Japan, it has been providing the rich resource for those who live in and it is quite natural for Japanese people to seek the harmonious way to live with nature – Kami. There are roughly five elements consist Shinto beliefs. Shinto is involved in every aspect of Japanese culture: it touches ethics, politics, family life and social structures, artistic life (particularly drama and poetry) and sporting life (Sumo wrestling), as well as spiritual life. 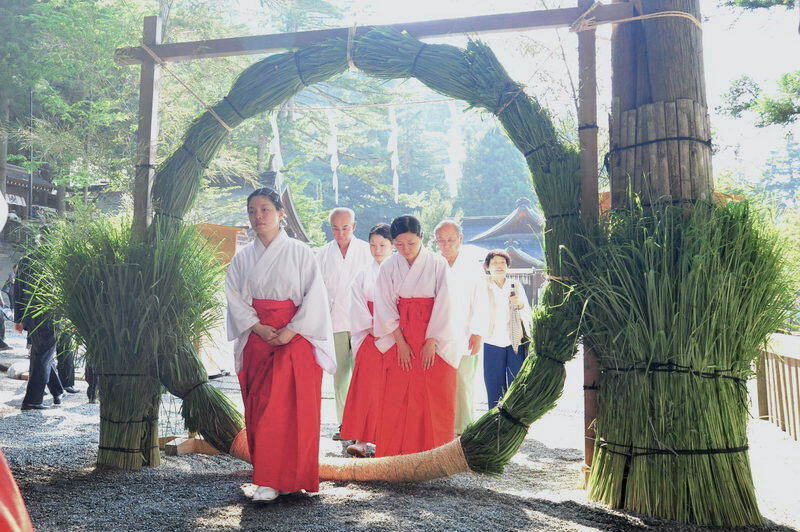 Throughout their lives, ceremonies, and rituals at Shinto shrines, seasonal celebrations, involve Shinto beliefs. 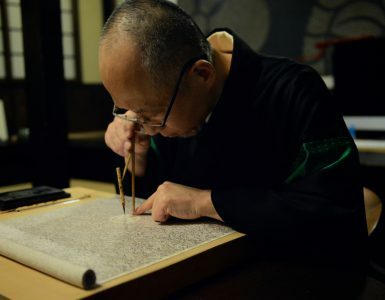 Although most Japanese follow many Shinto traditions, they regard themselves as being devoted to their community’s local shrine and kami, rather than to a countrywide religion, which is the point. Shinto beliefs encourage to people keep themselves clean, cheerful, and harmonize with nature which makes the local community prosper as a result. First of all, human beings are born pure. Therefore, keep oneself purified is the most importnat thing one has to do in Shinto. When one is sincere, beauty, truth, and goodness expose themselves as they are the true nature of human being in Shintoism. It is the way of Kami, the way of nature to be born beautiful, truthful, and such beings can’t be less than good. This way of thinking in Shinto gives people a total sense of security as if they were protected by Kami and it naturally cultivates authentic sensitivity, a sense of beauty and of the beautiful. 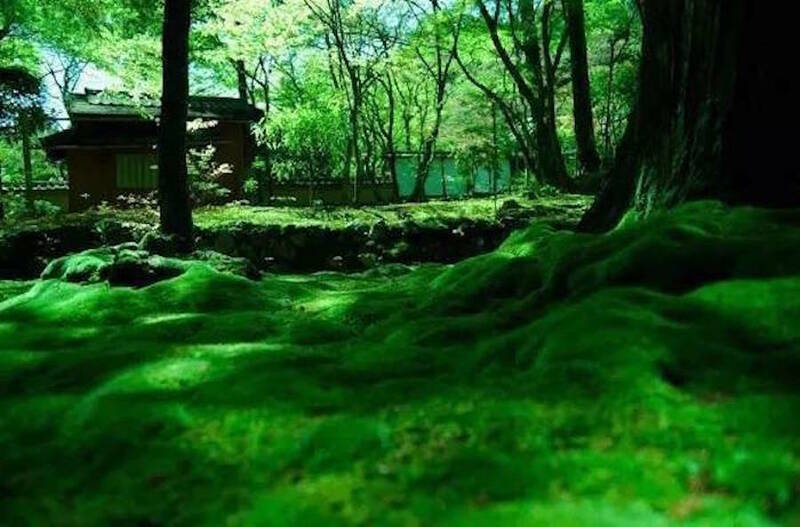 In Shinto, the ideas closest to the western notion of evil are pollution and impurity, which is called “Kegare” in Japanese and these are addressed through rituals of purification. “Kegare” doesn’t only refer to a stain or uncleanliness but also energy-less state. For instance, people assume the death as “Kegare” it’s because someone’s death influence others who loved the passed one and they tend to have less energy for their loss. Also, suffering is not regarded as a form of punishment for human behavior, but, rather, as a natural element of human experience. Those who die holding a grudge strong enough to keep them attached to the physical world will become evil, revenge seeking kami. Emperor Sutoku is well-known as “Onryo” or “Tatari Gami”, revenge seeking kami in history. 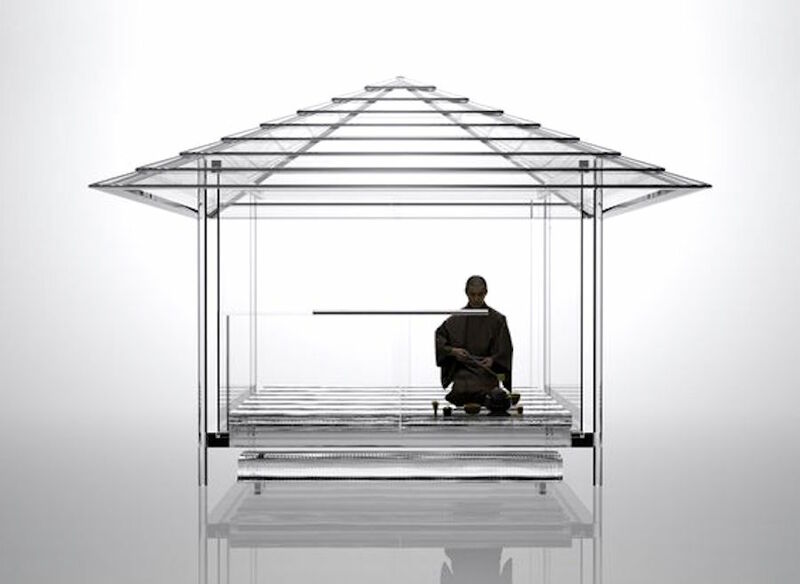 After Sutoku’s abdication and exile, he devoted himself to monastic life. He copied numerous scriptures and offered them to the court. Fearing that the scriptures were cursed, the court refused to accept them. 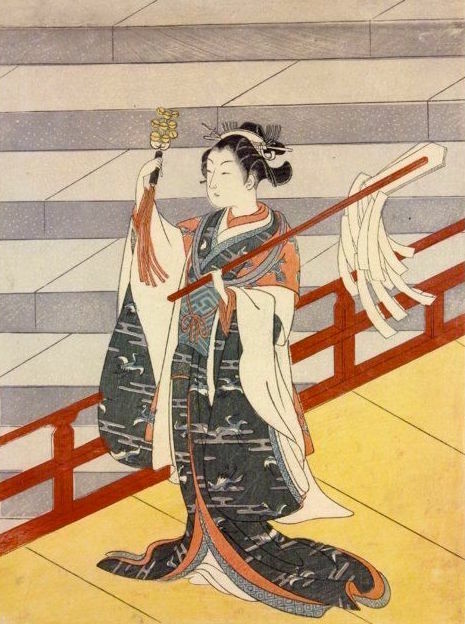 Snubbed, Sutoku was said to have resented the court and, upon his death, became an onryo. Alternatively, he was said to have transformed into an Ootengu (greater tengu), who, along with the nine-tailed fox Tamamo no Mae and the Ogre Shuten Doji, are often called the “three great evil yokai” of Japan. His story is in Shiramine in Ugetsu Monogatari (Tales of Ugetsu). 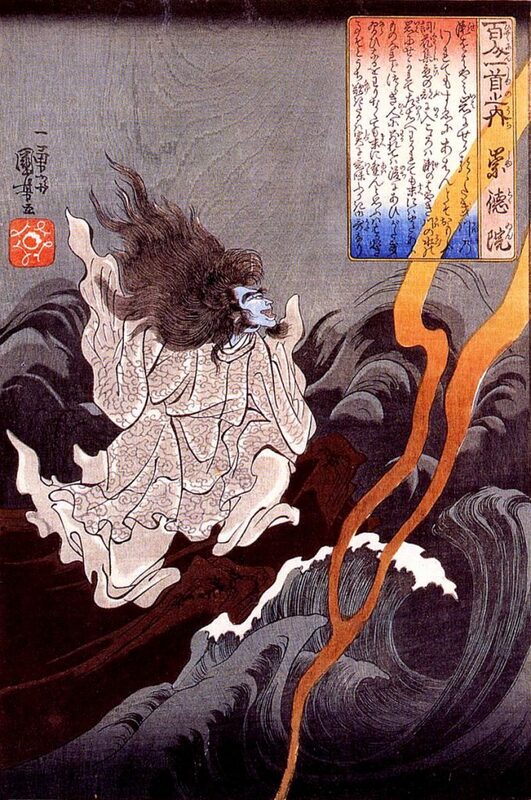 The haunting which caused by a man has roots in his grudge, he becomes “Onryo” or “Tatari Gami”. Today, a phenomenon of Tatari such as disaster happens when people do something against Kami’s will such as unplanned deforestation, indiscriminate use of natural resource, neglect performing rituals which is an expression of respect and appreciation for nature – Kami. By doing augury or Oracle, people get to know what is the reason for the disaster, expiate the sin, and enshrine him would stop the disaster. It’s considered to be one of the most important aspects of Shinto, repose of the souls. t was about putting the soul back in the living body where it supposed to be since without a proper care it’s considered the soul tends to float around. Putting the soul back in, anchoring it to the flesh is “Tama-Shizume”. 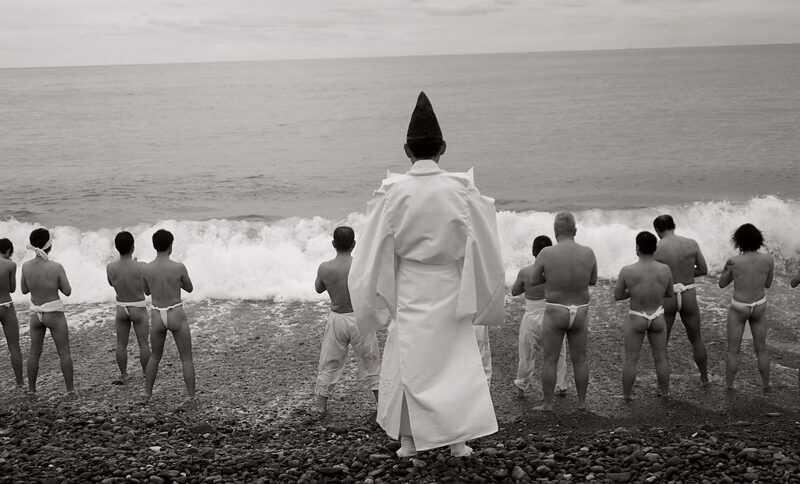 There is another ritual for the soul, “Tama-Furi”, which livens up the soul and it recharges the energy in it. From the ancient times, people have believed shaken up the air uplifts people’s souls such as clapping one’s hands in front of the shrine, ringing a bell, and waving hands when they greet. Shinto emphasizes Makoto – sincerity in the heart. Makoto, “Kannagara-no-Michi”, is the basis of Shinto ethics. It is a distinct sensibility that underlies an entire approach to life and the world. It is not about official creeds or codified systems of theology or ethics. This concept of Makoto is important to the core beliefs of Shintoism. If goodness and sincerity are not in your heart, all the acts are pointless. Sincerity is the grounding of all ethical thought and behavior. Since kami is everywhere, nature is kami itself. Seeking harmony with kami, taking care of the environment is a basic belief in Shinto. Kami, unlike the western concept of gods, are not omnipotent nor perfect. They sometimes make mistakes and behave badly as well. They are more like humans in a higher manifestation of energy. Deities or spirits are closer to Kami beings. The term kami is sometimes applied to spirits that live in things, but it is also applied directly to the things themselves. So the kami of a mountain or a waterfall may be the actual mountain or waterfall, rather than the spirit of the mountain or waterfall. Kami have a specific life-giving, harmonizing power, called “musubi”, and a truthful will or sincerity, “makoto” Shinto deities are equally capable of being gentle and loving, or awesome and terrifying. 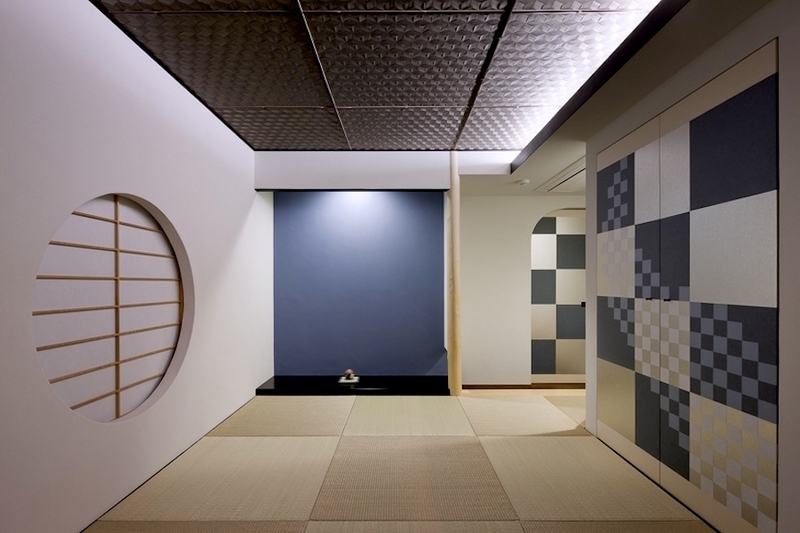 Kami is everywhere, therefore it is natural to keep any place clean. Being aware of environment cultivates aesthetic sensitivity for nature and humans as well. Shinto has a unique way of seeing us humans as with a spirit consists four souls in it. In 604, Prince Shotoku, a member of the Imperial Family and excellent politician, made Seventeen-Article Constitution and there is a famous line in Article 1, “Harmony is to be valued, and the avoidance of wanton opposition to be honoured.” This line has been the most cited one to explain the spirit of harmony in Japan, as getting along with people is the highest value. However, without lively discussion sharing true feelings, ideas from the different side, there would be no genuine harmony. What Prince Shotoku wanted to tell by this line is to encourage people to share their opinions without the barriers of the factions, find a point for the mutual agreement. He did not mean to get along with people blindly just for the sake of compromise. 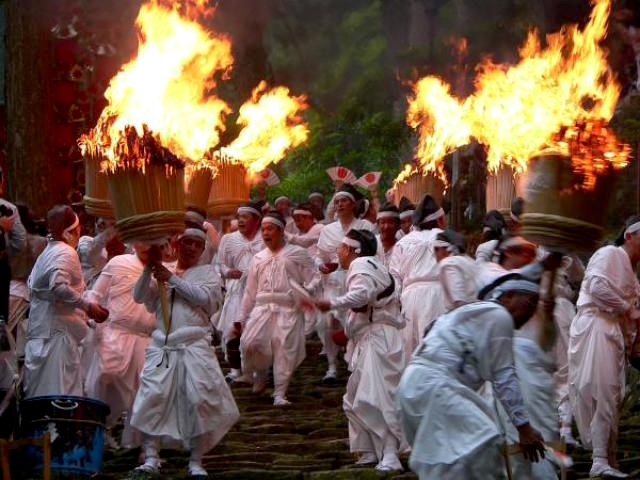 Matsuri, Shinto festivals, bind a community together, a grand form of “Tama-Furi”, entertain kami and people at the same time. Shinto can be complete without Matsuri. There are various types of Matsuri which held at the Imperial Court performed by the Emperor, annual Matsuri held at local shrines, and a unique type of Matsuri held at each local shrines such as Kami-Ari-Sai at Izumo Taisha. The list goes on, Shinto funeral, Mitama-matsuri (repose the souls of ancestors), New Year Festival, monthly matsuri, and personal matsuri like Shichi-Go-San, purifying ceremony of a new building site, various types of prayers. Originally, the term “Matsuri” means offering food, sake and, precious items; waiting for Kami to show up; obeying and serving. From the ancient times, people have believed offering and serving Kami energizes Kami and people can enjoy the benefit of its elevated energy. In a nutshell, the more people celebrate kami performing festivals, the more kami’s energy elevated and they share the energy with people. Heihaku – Offer Kami food, rare items such as valuable fabric, armors, but nowadays mainly money. 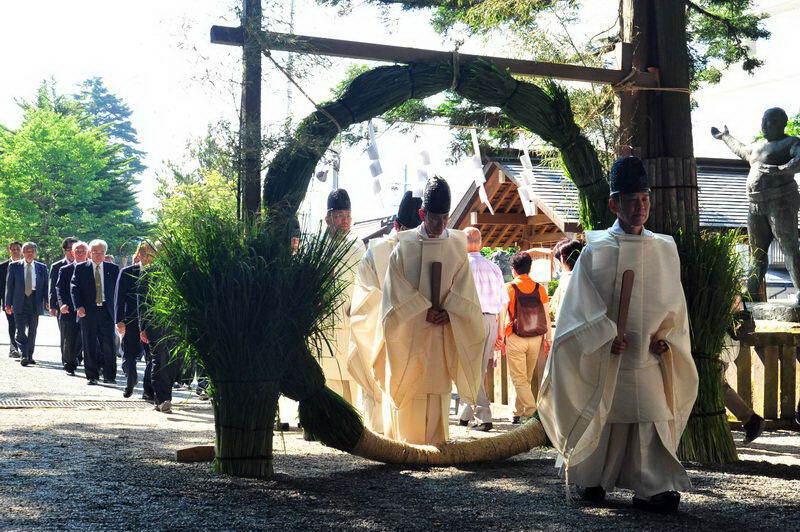 Syubatsu – Harae (Purifying) ritual, a shrine priest swing the paper streamer to purify ministrants and attendants. 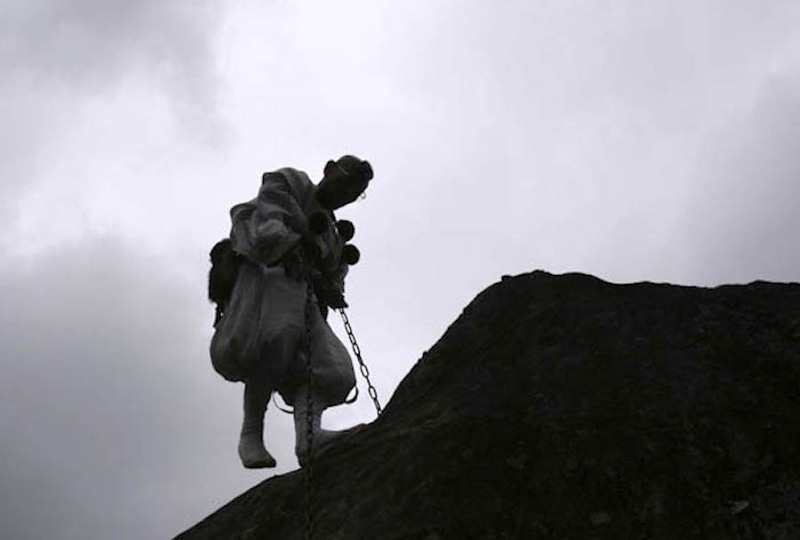 Norito – A Shinto priest recites Shinto prayers, there’s a belief word has its souls in it. Shinto is strictly focused on the present. 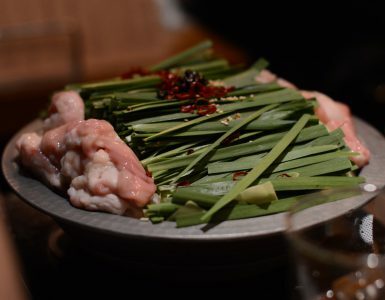 In Shinto, life is about a celebration of what we know and what we have right now. Although they don’t believe in the afterlife, once a person dies, he becomes ancestral Kami which keeps an eye on his offspring, sort of a guardian angel. Japanese Kami are closer to humans, they make mistakes, do mischievous stuff, feel joy and sorrow. You treat your environment by keeping it clean with a sincere heart, the harmony will come naturally. Shinto makes you be aware the moment of now rather than regretting about something happened in the past or worrying about the future which doesn’t come, yet. Makes sense, doesn’t it? Interestingly enough, the concept of mindfulness and to love what have you now and anything happens have the affinity with Stoicism. Here is a massive and a thorough guide of Stoicism, What Is Stoicism? A Simple Definition & 10 Stoic Core Principles by Jonas Salzgeber. You would definitely enjoy reading and find more insights for the better life.